Power & Strength Pump is an interesting nutritional supplement that should hire before 'workout or strenuous work. 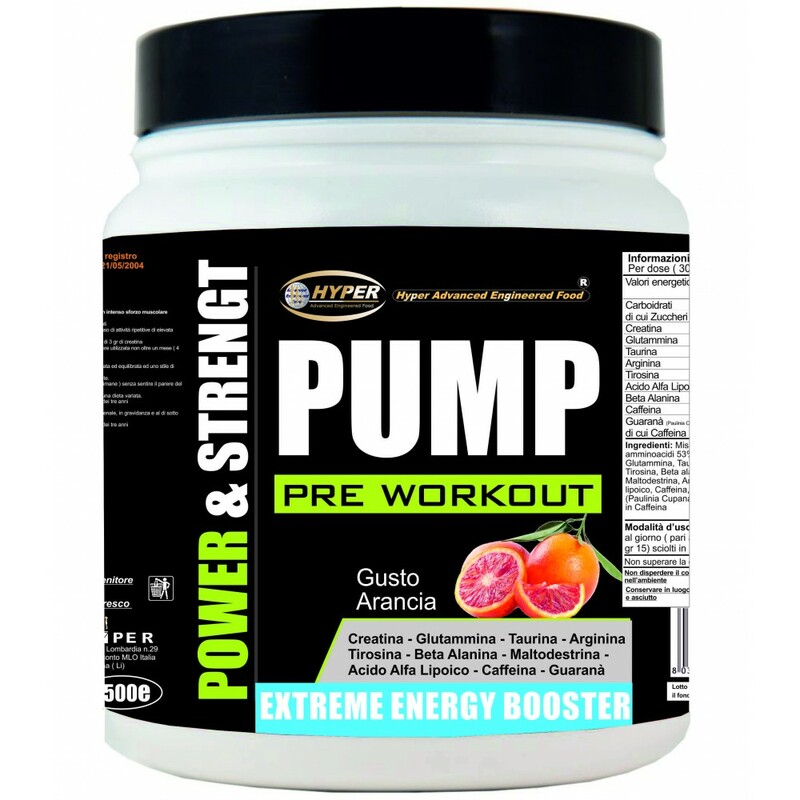 ✔ Who wants help to have more volume, pumping, increased muscle strength and endurance. ✔ Who wants a help to have a more muscular body, and massive. Unquestionably positive effects of creatine on performance stem from its ability to release energy at times of peak metabolic demand. Creatine is in fact a precursor for the formation of ATP, which is the main form of energy used by the cells. Glutamine favors the increase in volume of muscle cells favoring entry into the cells of water, amino acids and other substances. This activity, according to some researchers, stimulate protein synthesis favoring the increase of muscle mass. Arginine is an amino acid essential for the organism. It 'very important even in adulthood; if taken in high doses, in fact, arginine may help increase protein synthesis, muscle hypertrophy and GH releasing hormone (essential for the development of the body and used in anti-aging therapy). Increase the state of mental alertness, the feeling of wellbeing - Reduces the physical and mental fatigue! L-Tyrosine is an amino acid with excellent energizing and anti-catabolic, also it promotes the burning of fat. Recent studies show that excessive physical stress (exercise) decreases in a remarkable level of neurotransmitters in the brain. These transmitters are closely related to functionality. muscle and the ability to concentrate and therefore affect the mood and motivation. The use of L-Tyrosine "amino acid energizing" may facilitate the restoration of normal levels of neurotransmitters and promotes an immediate increase of power. Beta-Alanine is a nonessential amino acid. And 'known as a precursor of carnosine and its integration may lead to the concentration of the same in the muscle tissue, decreased fatigue and increased muscle work. The loss of strength and power in the muscles during exercise is caused from dropping the PH due to accumulation of hydrogen ions. A low pH can result in the loss of muscle performance. The beta-alanine, stimulating the synthesis of Carnosine, helps to reduce the physiological processes of accumulation of hydrogen ions and the consequent lowering of the pH, improving the ability to sustain an intense workout. The intake of caffeine can enhance, through a biochemical process well known and repeatedly studied, the metabolism of fats and general base metabolism, increasing wakefulness and the state of attention and alertness, reducing contemporaneamentela perception the fatigue and pain. And 'it demonstrated the ability of caffeine to increase performance psycho / physical and sports field, the performance of resistance and also power in the business in the medium and short term. It 'good to remember that, however, the' adrenalin and noradrenalin underlie complex mechanisms of our cardiovascular system. used for the preparation of beverages and stimulating compounds and tonics. And 'naturally rich in caffeine (combined with tannic acid). Its stimulating action is two to five times higher than the coffee itself. Lately its characteristics have attracted the attention of the sporting world for the chance to improve the performance of athletes of any sport. The alpha lipoic acid is a natural substance from the many beneficial properties. It has strong antioxidant properties, promoting a contrasting action to the formation of free radicals, (which are formed during the workout) which attack healthy cells eliminating them. 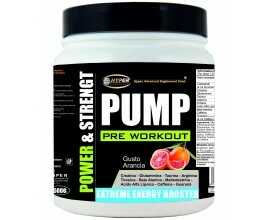 It improves the absorption of some nutrients, ideal (in sports) to be taken with creatine, glutamine, taurine. The announcement for the product indicates that it is not required any prescription or medical approval. Do not use the product in case of kidney or liver disease, pregnant women and children under 14 years if not after hearing the opinion of the physician. The use of supplements and other health products can help fill nutritional intake of food rations deficient in some respect or even to promote physiological well-being of the organism. Their use, in any case, can not be promoted, nor should it be construed as a means to correct inappropriate behavior. The term "natural", does not by itself guarantees in terms of security of use or favorable effects for the body because, as noted, not all natural substances have beneficial properties. For the purpose of weight loss, the possible use of supplements may have only a function of adjuvant low-calorie diet. It 'good to associate with the Restriction of revenue increased caloric expenditure through physical activity in daily practice, leaving sedentary lifestyles. The use of diet products specifically for sportsmen, must respond to rational criteria to help support the body's physiological needs nutritionally. Additions of nutrients in excessive amounts, such as to overcome the actual needs of the organism are, especially if prolonged irrational and inconvenient, as it does not involve advantages on the physical condition or performance and are revealed as an overload to dispose of. Before use, it is recommended dileggere labels carefully to verify the contents of the products, not to exceed the amount of intake indicated and follow any warnings.